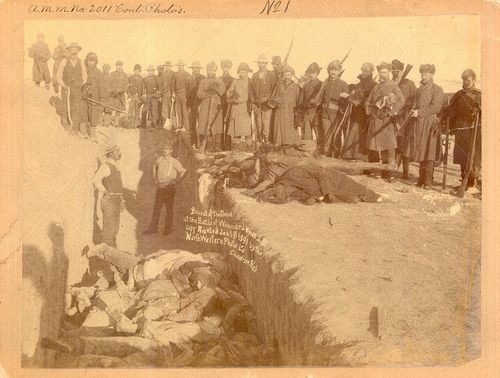 On reverse: Showing trench for burial of Indian dead in which were placed 84 men and 64 women and children, killed in affair with Big Foot's Siouxs at Wounded Knee, S.D. Dec. 29 1890. The Smithsonian's National Anthropological Archives has other pictures from this series.